The hill system of vegetable gardening is not as complicated as it sounds. Heat-loving vegetables, such as pumpkins, squash and cucumbers, are planted in mounds of soil. The hill system is generally used in conjunction with other planting methods and may occupy only one part of the garden. Gardeners often use raised beds, the block method or traditional rows for crops such as tomatoes, lettuce and carrots. Planting heat-loving vegetables using the hill method allows soil to warm up more quickly in the spring, according to Purdue University, improving germination and growth. And poor soil is amended simply by adding compost when making the mounds. 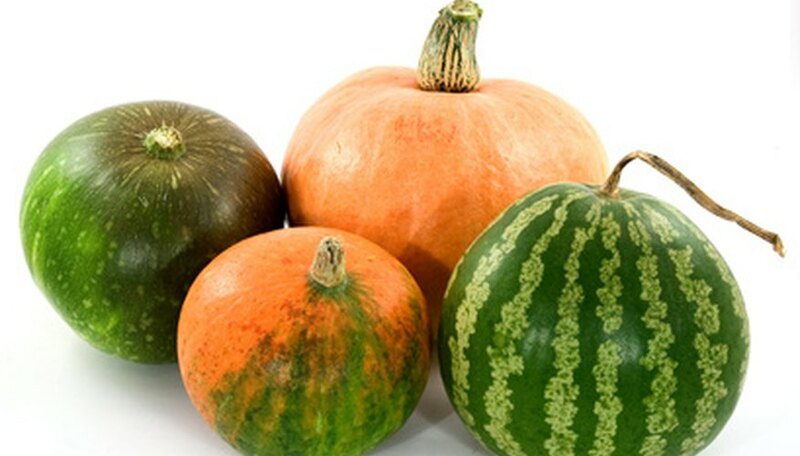 Vegetables most often planted in a hill formation include pumpkins, squash, cucumbers and gourds. Native Americans planted corn in mounds, with squash and beans growing between the corn. This practice, known as "The Three Sisters," benefits all three crops. The corn shades the squash and beans, the squash discourages squirrels and raccoons from raiding the corn, and the beans fix nitrogen in the soil, making it more available to heavy-feeding corn. All the vegetables typically grown in a hill system are warm-season crops, meaning they aren't frost tolerant. They are best planted when the soil is consistently above 65 degrees F and all chance of frost is passed. A mound is formed from surrounding soil or improved garden mix from a landscaping supply company or gardening store. The mounds are typically 8 to 10 inches high and between 2 and 3 feet wide. Cucumbers, melons, squash and pumpkins are planted at a depth of 1 inch in the soil and spaced 5 inches apart with four to six seeds in each hill. Plants are thinned to two to three plants per hill when the plants stand 4 inches high and have two or three leaves. Corn is spaced 12 inches apart and is often planted in circles. Plants grown in the hill system take up a lot of room in the garden. Vegetables, such as pumpkins, melons and squash grow on sprawling vines. Mounds should be spaced between 4 and 8 feet apart, depending on the variety, Purdue University advises.